Below is information regarding CIPC’s 2019 Preparatory Camp for Young Artists. Click the “+” button to view the relevant information. The world-renowned CIPC is excited to launch a new competition preparatory camp for pianists aged 12-17 at Baldwin Wallace University in Berea, Ohio. Selected pianists will participate in an intensive 7-day-long camp led by distinguished faculty and guest artists that will include private lessons, master classes, competition workshops, concerto classes, seminars and will culminate in a student competition. Students will work alongside internationally recognized pianists and CIPC medalists, effectively immersing themselves in competition preparation, including practice and performance technique; career development; and preparation for rigorous competition lifestyles with mind and body wellness seminars. Described as “the pianist with golden hands” by international media, Jerusalem-born and Israeli native Yaron Kohlberg is one of today’s top Israeli pianists. He has played in major halls in 40 countries spanning five continents and has won more than ten international prizes, including the second prize at the 2007 Cleveland International Piano Competition. Caroline Oltmanns; Steinway Artist; Professor of Piano at Youngtown State University. A Professor of Piano at Youngstown State University and International Steinway Artist, Caroline Oltmanns has presented master classes and workshops in the United States, Switzerland, Germany, South Africa, Canada, and China. Her students have been accepted into prestigious programs in the US and abroad, and have pursued outstanding careers in music. She has recorded six solo CDs on the Filia Mundi label and her playing has been heard on radio stations in Chicago, Cleveland, Los Angeles, and Cape Town. Pianist Dr. Sungeun Kim has given numerous concerts in the U.S., Canada, Russia, Spain, Korea and Italy. She has appeared with the Russian Federal Orchestra in Bolshoi Hall at the Moscow Conservatory, the Banff Festival Orchestra, the International Chamber Ensemble of Rome and the Gijon Symphony Orchestra. Sean Schulze coordinates and teaches at CIM in the conservatory and preparatory department. His students have won numerous prizes at the state and national level. A prizewinner of several competitions, he has appeared as concerto soloist, solo recitalist and chamber musician throughout the U.S., South Africa, Mexico, Ecuador and Brazil. Stanislav Khristenko’s performances have captivated audiences on four continents since his first solo recital at the age of 11. He has appeared as a soloist with the Cleveland Orchestra, Phoenix and Richmond Symphonies, and Hong Kong Chamber Orchestra, among others. Mr. Khristenko has won top prizes at some of the most prestigious international piano competitions. 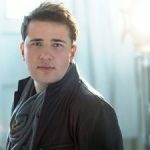 In 2013 alone he won First Prize at the Cleveland International Piano Competition, the Maria Canals International Music Competition, and was named Fourth Laureate at the Queen Elisabeth Competition. During a period of just a few years, Dr. Zuber was a recipient of major prizes from ten of the world’s most prestigious international piano competitions including Arthur Rubinstein, Cleveland, Seoul, Sydney, Dublin, and Honens. For these and many other remarkable achievements, he was given the Arthur Rubinstein Prize by The Juilliard School. Dr. Zuber is also a two-time recipient of the Gina Bachauer Prize at Juilliard — one of only a handful of pianists in the school’s history to have won the award twice in two consecutive years. Dmitri honed his skills on the piano under the guidance of Sergei Babayan for 11 years and in composition at the Curtis Institute of Music. He is the winner of more than a dozen international piano competitions, including the China, Cleveland, German Piano Award, Gina Bachauer, Jose Iturbi and the Vendôme Prize. Dmitri has earned numerous ‘audience favorite’ awards and special prizes, notably for best performance of Chopin’s works. Sara Daneshpour is the 3rd prize winner of the 2017 Arthur Rubinstein International Piano Competition, along with the 2014 prize winner at the Seoul International Music Competition and 2013 Laureate of the ProLiance Energy Classical Fellowship Awards of the American Pianists Association. She is the First Prize winner of the XII Concours International de Musique du Maroc (Morocco, 2012), 2nd prize of the 2007 William Kapell International Piano Competition, and 1st prize and Gold Medal winner of the 2007 International Russian Music Piano Competition. Applications due by March 31, 2019. A non-refundable application fee of $50 must be submitted with the application. Applications postmarked or submitted online after 11:59 p.m. EST on March 31, 2019 will be subject to an additional $25 late fee. An application will not be processed until all fees are paid. All amounts are in USD. Applications received after May 1, 2019 will not be processed. Students will also attend a day-trip to Niagara Falls, NY. In order to guarantee the high-quality and the professionalism of the preparatory camp, we will provide, at an additional cost, the young artists from mainland China and Taiwan regions with auxiliary services, including assistance on the U.S. visa application, air ticket booking, full-journey bilingual chaperone, professional translation services for camp activities, and bilingual printing materials.